This innovative cultural history investigates an intriguing, thrilling, and often lurid assortment of sensational literature that was extremely popular in the United States in 1848--including dime novels, cheap story paper literature, and journalism for working-class Americans. Shelley Streeby uncovers themes and images in this "literature of sensation" that reveal the profound influence that the U.S.-Mexican War and other nineteenth-century imperial ventures throughout the Americas had on U.S. politics and culture. 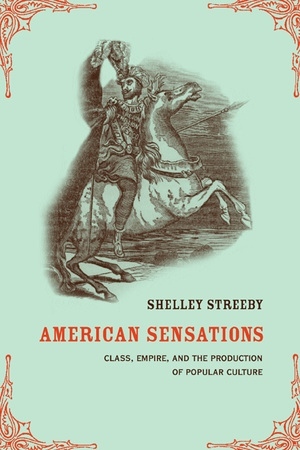 Streeby's analysis of this fascinating body of popular literature and mass culture broadens into a sweeping demonstration of the importance of the concept of empire for understanding U.S. history and literature. This accessible, interdisciplinary book brilliantly analyzes the sensational literature of George Lippard, A.J.H Duganne, Ned Buntline, Metta Victor, Mary Denison, John Rollin Ridge, Louisa May Alcott, and many other writers. Streeby also discusses antiwar articles in the labor and land reform press; ideas about Mexico, Cuba, and Nicaragua in popular culture; and much more. Although the Civil War has traditionally been a major period marker in U.S. history and literature, Streeby proposes a major paradigm shift by using mass culture to show that the U.S.-Mexican War and other conflicts with Mexicans and Native Americans in the borderlands were fundamental in forming the complex nexus of race, gender, and class in the United States. Shelley Streeby is Associate Professor of Literature at the University of California, San Diego, and a contributor to Post-Nationalist American Studies, edited by John Carlos Rowe (California, 2000).